And really its that information that is leading to more and more people seeking out suitable rental opportunities throughout the Keys. Well you could look throughout the internet or instead you could have all the information at your finger tips. Lucky you, you've already found the best resource there is! Why Should You Vacation In The Florida Keys? The Florida Keys are a group of Island that are closer to Cuba than Florida, so they have a laid back tropical feel that you won’t get in Orlando. Also due to its proximity to the Gulf Stream, the temperature always stays about 10 degrees lower than the incredible heat that the mainland often experiences. This makes for a delightful stay all year round, which makes people who want to get their vacation home rental the only way possible - the Florida Keys way. 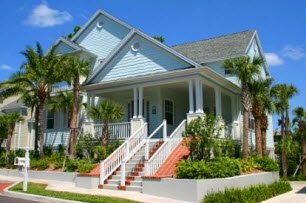 Vacation Rentals, in the Florida Keys, will offer you great opportunities as each of the five main Islands Islamorada, Key West, Marathon, Key Largo,and Big Pine Key have their own distinctive characters. From world class fishing, to diving. From incredible wildlife to fast moving and fun bars and restaurants. Whatever you feel makes up the perfect Florida holiday you will find it. So how is the best way to get your vacation rental just right? Try out the following companies all who have the highest standards of rentals available. Just want you would want for your vacation. Though all Florida keys agents share a multiple listing service (MLS) with properties available throughout Monroe County, each agency tries to stay as close to its own territory. So what we have done is try list the biggest ones for both retail sales and vacation rentals, it is not in anyway shape or form supposed to be a comprehensive listing. If it is the whole lot that you are looking for then the Yellow Pages would be a good start, or simply pick up one of the free real estate guides that you can see just inside the door at supermarkets across Monroe County. VRBO – Vacation Rentals By Owners (or more likely you will type in VBRO…we make the same mistake every time. Not sure why) to find great lodgings and rentals provided by the owners of the house themselves. You’ll live the life of a local, or “conch” as we say down in the Keys. VRBO have literally thousands of home for rent not just in the Florida Keys but across the globe, and all of them are top quality. So dependent on wether you are looking for a property by a specific owner, or more to do with the location of the property, simply click through on the following link and you then have access to a massive resource that will make your vacation rentals concerns just drift away. American Caribbean Real Estate - Middle Keys are really one of the biggest Property Management offices based in the Middle Keys. They will help you find the perfect property for your needs. Their great selection includes private homes, luxury condominiums either on the the Gulf of Mexico, Atlantic Ocean, or on deep water canals. Homeaway is an extremely large vacation rentals site with more than 95,000 listings, making it the largest vacation rentals by owner web site. This of course gives you great choices as to where you decide to lay down your hat. In the following Real Estate and Vacation Rentals section we, have tried to list the agencies by area, so these are the guys that you can pop into and do the whole meet and greet thing. Coldwell Banker Schmitt covers the Florida Keys real estate sales and vacation rental market from one end of US1 to the other. Marr Properties have been providing rentals in the Florida Keys since 1965, so have a great reputation and a long knowledge of the Upper Keys Real Estate market. Exit Realty Florida Keys focus in on residential and commercial sales. They also offer annual and vacation rentals as well as property management services. Freewheeler Realty deal in property management, rentals and sales for homes, condos, villas and efficiencies on the beach, bay and canal. It doesn't matter how long you want to stay for, a month, a week, or if you are lucky even longer, Freewheeler’s reservation team have years of experience to find you the vacation home of your dreams. Do not be put of by the name The Waterfront Specialist as the agency has been around since 1972 and can help you find sales and rental opportunities both on and off the water. Coldwell Banker Schmitt Real Estate staple diet is the sales and vacation rentals in the Middle Keys. The other Coldwell Banker offices mentioned on this page will be able to help you find properties throughout the other areas of the Florida Keys. So definitely try them all, as you will obviously give yourself the greatest opportunity to find the right property for your stay. This office of American Caribbean specialises in Middle Keys sales and rental properties from Duck Key To Key Largo. Which is quite a spread of the best vacation homes to make your stay in the Florida Keys as special as you would hope it to be. I guess you could say home from home. At Wilkinson Team Karen and Bill or the ones that can do the business for you and handle your real estate requirements. They operate from Key Largo to Key West, and all other areas. They really have the Keys covered. For anyone who is coming up from Key West this is about a 30 mile drive. Serving the Lower and Middle Keys, they are the number one ERA Franchise in the Florida Keys.